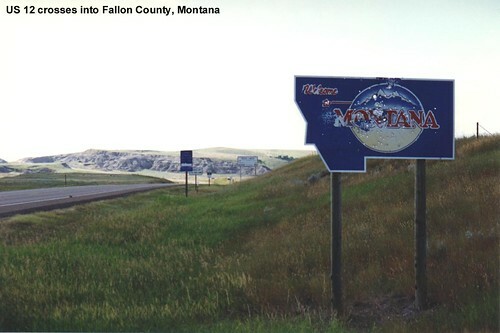 Unfortunately someone used the Welcome to Montana sign for target practice. 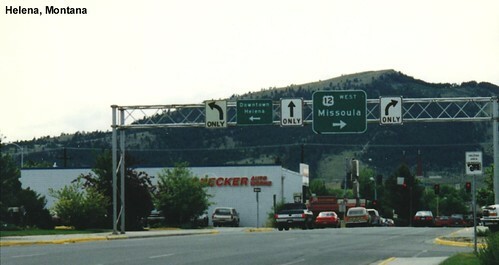 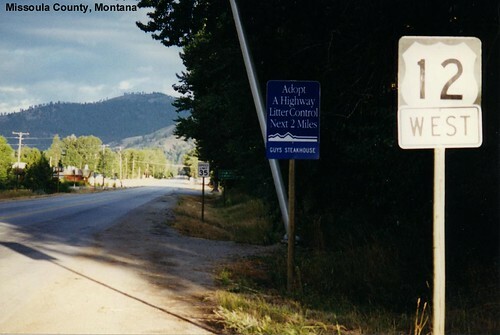 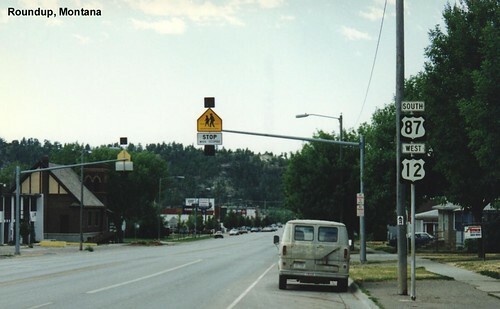 While it's not quite readable in this scanned photograph, in the background is the speed limit sign for day, truck, and night. 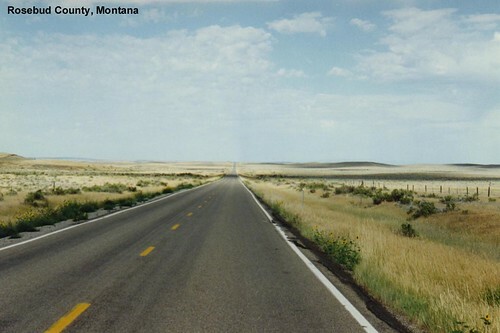 At the time, the day speed limit was "reasonable and prudent". 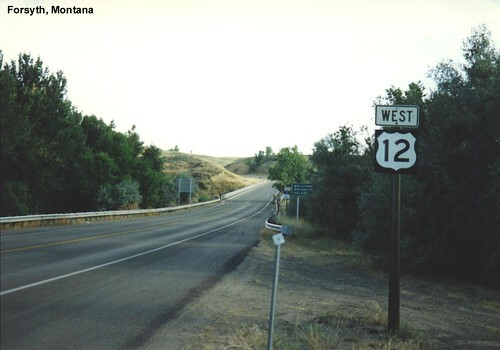 After a stretch with I-94, US 12 heads off into the desolate plains. 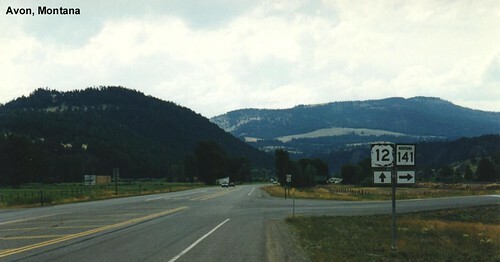 Taken from a side road (US 12 is paved). 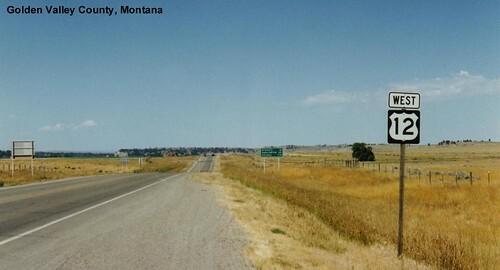 This nearly vacant town was visible from miles away due to the long abandoned massive school. 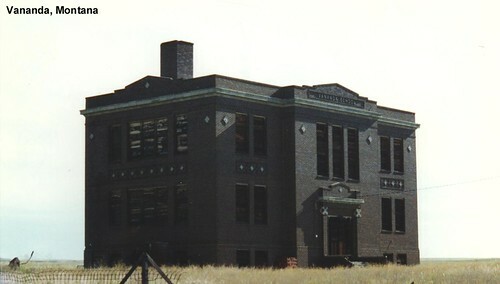 A closer shot of the Vananda School. 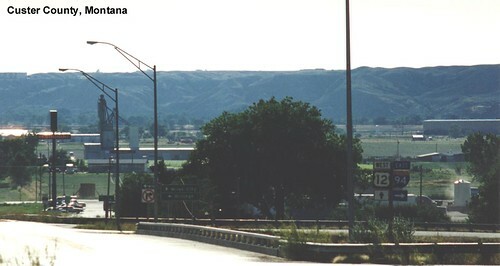 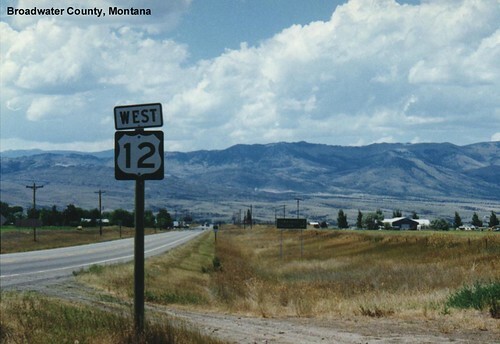 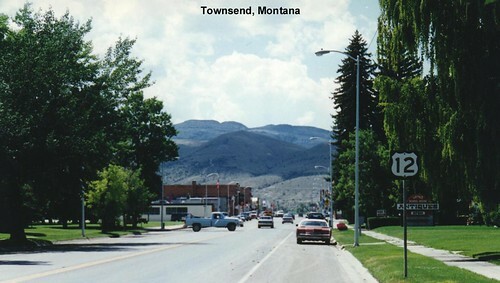 US 12 approaching the mountains. 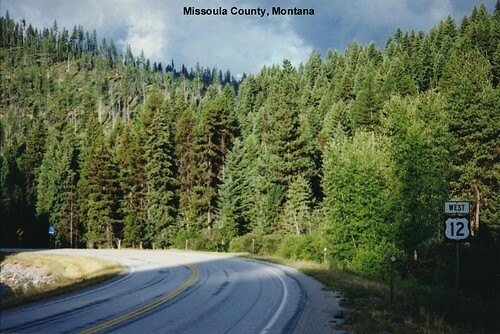 Some morning sun in the mountains west of Missoula.